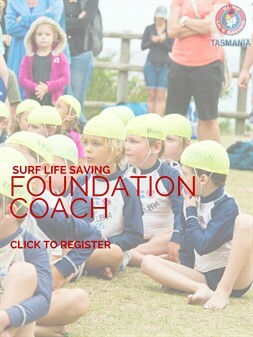 Surf Life Saving Tasmania acknowledges the efforts of our coaches in the development of athletes. The success of Tasmanian athletes can be attributed to the commitment and hard work of coaches and athletes alike. 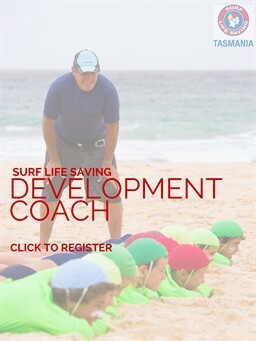 Surf Life Saving Tasmania aims to provide ongoing development for coaches through the Coaching and Skills Development Clinics by providing well structured coach education programs. These clinics provide opportunities for coaches to gain knowledge and skills from some of Australia's finest coaches. Click here for the Quick Guide: How to register for a Foundation or Development Coach Training Program. Below is a list of FAQs of the following questions, go to the relevant section underneath to find out what you are looking for. If the answer isn't here, please contactLeanne Johannesen for more information. Circular 16-13 Foundation and Development Coaching Courses Registrations, that can also be found on the SLSA Members Portal. What are the changes to the coaching framework? Why should you become an accredited coach? What is the Foundation course and who does it target? What is the Development course and who does it target? What is the Performance course and who does it target? What is the High Performance course and who does it target? How often are courses run? And how do I enrol in a coaching course? Are there any other prerequisites to become a coach? Who do I contact if I’m having IT troubles? What is the Community Coaching General Principles? How do I update my accreditation? What will happen to my current Junior Coaching, Level 1, Level 2 or Level 3 Coaching accreditation? My accreditation has expired, what do I do? How can I be a Boat Sweep? Is there any changes to the Boat Sweep Accreditation? Are there any Sweep Training that I can attend? 1. What are the changes to the coaching framework? Following a comprehensive review of the SLSA Surf Sport Coaching Framework in 2012/13, SLSA has redesigned the way coaches are recruited, trained, supported, and retained. The result is a contemporary, flexible, interactive and purpose-built coach development framework, designed to ensure we are developing great coaches in all coaching environments and in all Surf Sport disciplines. The new SLSA Coaching Framework is fundamentally taking over what was formally known as the Junior Coaching, Level 1, Level 2, and Level 3 courses. The major change to the coaching framework is that it is now discipline specific. SLSA Surf Sport Coach training sits under the umbrella of the National Coaching Accreditation Scheme (NCAS), which covers over 80 different sports throughout Australia and is managed by the Australian Sports Commission (ASC). SLSA has a 5-tiered Coaching Pathway which is outlined in Figure 1 below. Note: The Age Manager qualification is not part of the National Coach Accreditation Scheme. 2. Why should you become an accredited coach? Becoming an accredited coach is an important step in ensuring that you are providing a quality service to the participants you are working with and your accreditation will be endorsed by the Australian Sports Commission. NCAS is Australia’s system of training and accrediting coaches, which more than 80 sports participate in. The fundamentals learnt in the new coaching courses are easily transferrable to other sports which are also endorsed by the ASC NCAS. 3. What is the Foundation course and who does it target? Coaches of entry level participants actively participating in a club surf sport environment (recreationally or competitively). This level is for Nippers (U13) based coaching. Target: Parents of nippers/new club members and people with an interest in coaching. Duration (theory & practical): A mix of theory and practical education methods. The two-part theory component must be completed prior to the practical course. You will be given one month to complete all theory components. You do not have to complete this in the one sitting. The practical component is known as the Practical Workshop which will take approx. 4 hours in duration depending on the discipline you choose and the availability of your Assessor/s. Enrolment prerequisites: Participants must be 16+ years to enrol in this course. This course is not a prerequisite for the Development course. 4. What is the Development course and who does it target? A coach who has chosen a specific discipline/s to coach participants who are actively competing in a club/branch surf sport environment. You must complete this course if you wish to coach Surf Boats, followed by the Sweep Accreditation Checklist. Target: Parents of nippers, parents of young athletes, current/ex surf competitors, lifesaving trainers, other sporting code coaches wishing to coach surf athletes. The first component is the Australian Sports Commission (ASC) Community Coaching General Principles certificate (see question 10). The second component is to complete the online modules via Pulse (see question 8). Enrolment prerequisites: Participants must be 16+ years to enrol in this course. The Foundation course is not a prerequisite for the Development course. 5. What is the Performance course and who does it target? A coach who is a specialist within their discipline, striving for a performance based outcome from their athletes. This level has not been released by SLSA. It is expected to be released in mid-2016. Target: Ex-surf competitors, High Performance partner, NSO coaches wishing to coach surf sports athletes. Duration (theory & practical): This course is yet to be released to States by SLSA. Stay tuned for more information. Enrolment prerequisites: Participants must be 18+ years to enrol in this course. 6. What is the High Performance course and who does it target? A group of selected coaches who have been identified as leaders within their chosen field. These coaches are talented identified as part of either the NHD Program or as experts outside this particular program. Each member of this group will be supported with an Individual Coach Performance Plan (ICPP) which will ensure SLSA’s High Performance coaches are at the cutting edge of lifesaving sport at the highest level. Each HP Coach will be required to attend an annual workshop where they will be required to either present at or participate in the workshop. This course has not been released by SLSA. Target: High Performance (selected) coaches. This course is offered and run by SLSA, not the State Centres. Cost: To be advised by SLSA. 7. Are there any other prerequisites to become a coach? 8. How often are the courses run? And How do I enrol in a coaching course? If you wish to complete a Foundation or Development coaching course, nominations will be open in the months of November/ December 2015, January, April, July & October 2016 only. This will create regular intakes and ensure that those who have previously experessed interest to obtain a formalised Coaching Qualification can do so. By nominating in one of these months, you are simply Registering your interest to complete a course. Confirmation of registration will be forwarded to you following the close of nominations where SLST will contact you to provide more information about payment, how to access the modules, etc. You will be given one month to complete the online modules which are then followed by the practical assessment where the date and location will be communicated with all participants. You should allow 6-10 weeks form the time of nominating to the time you will receive your accreditation. Pulse is an online education platform SLSA use to deliver the theory component of all courses. This is accessed via the SLSA Members Portal. This program has allowed SLSA to drastically minimise the face to face theory time and gives you the opportunity to complete the online modules at your own pace in your own time. Please log on to the SLSA Members Portal. If you do not have a SLSA Members Portal account, or are having troubles logging in, please email the SLSA IT Help Desk ithelp@slsa.asn.au and they will be able to assist you. SLST cannot help you with this. Then select ‘SLST’ (if not automatically selected). You should now be redirected to the SLSA Online Learning Portal. By following these prompts, this will tell the SLSA Online Learning Portal (Pulse) that you intend to complete some courses/ modules and will activate your username in the system. Until you do this, the course modules cannot be allocated to you. You will not see any modules at this time, however it will help greatly when then time comes around for SLST to allocate you the modules. 10. Who do I contact if I’m having IT troubles? Please email an SLSA representative at support@interactiontraining.net and mention that you are trying to enrol for a coaching course in SLST and need access to the Members Portal. SLST cannot help you with this. 11. What is the Community Coaching General Principles? This certificate covers module 1 for both the Foundation and the Development courses and is separate to those on the SLSA Members Portal. Do not complete this if you have not formally registered to complete a course as explained in Circular 15-41. Once completed, you do not have to complete it again. This course is not sport specific however the course will give you a basic knowledge of coaching fundamentals. This course was previously known as the Beginning Coaching General Principles course. As this course has been superseded, SLST cannot accept this certificate as RPL for any course. The CCGP is free of charge. Complete enrolment and begin the course. Save a copy of the certificate. You will be asked to submit this certificate at the time of Registration. Later on, you cannot attend the Practical Workshop until you have completed this theory component. RPL stands for Recognised Prior Learning. 13. How long is my accreditation valid for? All SLSA coaching accreditations are valid for four years. 14. How do I update my accreditation? Complete the Reaccreditation Form (Form 64) and submit before your accreditation expiry date. This form can also be found on the SLSA Portal Library under Sport>Coach Education>SLSA>Accreditation and Reaccreditation. Once you have completed the form please send to Leanne Johannesen via email. 15. What will happen to my current Junior Coaching, Level 1, Level 2 or Level 3 Coaching accreditation? You will keep your current coaching accreditation until you need to reaccredit yourself before it expires. The reaccreditation form asks you which level best suits your coaching ability. Our SLSA trained Assessors will sign off on your reaccreditation paperwork. Please note: there are a handful of Qualified Coach Assessors in Tasmania. If you are unsure of who is a Coach Assessor, please leave this section of the reaccreditation form blank when submitting to SLST. Your reaccreditation forms will be sent back to you if not completed correctly. Please contact Leanne Johannesen if you have any questions about your reaccreditation. 16. My accreditation has expired, what do I do? Do not let your accreditation lapse more than 6 months. You may have to complete a new course under the new framework if you do not get this information to State Centre in time. 17. How can I be a Boat Sweep? You must complete the Development Coaching accreditation as a Boat Coach prior to completing the SLSA Boat Sweep Accreditation Tool. The Development level is discipline specific, whereas the Foundation is targeted towards coaching nippers and therefore does not apply to anyone wishing to be a boat coach or Sweep. The Foundation course is not a prerequisite for the Development level. You cannot Sweep 'Competitively' until you have completed both the theoretical and practical components of the Development Boat Coach Accreditation. Please refer to the Sweep Accreditation Pathway for more information (p2, SLSA Sweep Accreditaion Assessment Tool). It is the responsibility of the individual Sweep to ensure they have a current coaching accreditation if they wish to sweep in competition. SLST cannot accept excuses as to why a sweep has not kept their coaching accreditation current. Any disputes must be referred to SLSA. 18. Are there any changes to the Boat Sweep Accreditation? SLSA have made recent changes to the Boat Sweep Accreditation Process in conjunction with the ASRL to make it current with modern coaching methods. Now that this has been introduced, NO old boat sweep accreditation checklists will be accepted. You must have a current coaching accreditation to be a Sweep. If this accreditation expires, you are not accredited to Sweep in competition. Please go to the Surf Boats Page, under education for the Sweep Accreditation Assessment Tool. It is here where you can find a list of who can accredit you as a sweep and where (To be uploaded shortly). There are a limited amount of people who can sign off on Sweep Accreditations. Never assume! 19. Is there any Sweeps Training that I can attend? A number of Regional Sweep Training Days are planned and scheduled in conjunction with SBRT Committee members. These are targeted toward novice sweeps who aspire to sweep in competition. You do not need any accreditation to participate. Please go to the Surf Boats Page for more details. Sweep Training Days are not only an opportunity to have your sweep accreditation or coaching accreditation signed off, but a chance to refine skills, meet other Sweeps from across the state and even compete in some casual freindly racing. 20. What happens when I complete the course? Your Assessor will complete the paperwork and send to SLST. Please allow 3-6 weeks for your accreditation to be processed. 21. Who can I talk to if I have more questions? SLST in conjunction with SLSA are providing eLearning courses and opportunities to the SLST community to ensure all are across contemporary education methods in Australian Sport. Both the above courses are free of charge and provide an opportunity to develop a knowledge and understanding of anti-doping and match fixing in sport. We strongly believe this is important learning for those involved in any SLST event and is vital for elite competition and member development. SLST fully supports the new SLSA Anti-doping and Match Fixing policies. SLST strongly encourages those involved in the sport to complete these education courses (no longer than 1 hour each). Please click on the links above to complete the courses. Following the completion of each course, please forward the completion email (Match Fixing) and a copy of the certificate (Anti-Doping Level 1) through to Leanne Johannesen to track and upload to SurfGuard as an award on your profile. Once completed, the courses do not have to be completed again, unless there is an update in information from these organisations. If anyone has previously completed either course, proof must be sent through to Leanne Johannesen in order to be recognised.